Coconut oil has been getting a lot of attention in natural beauty circles due to its amazing health and beauty benefits. The Livpurely Organics Coconut Oil Moisturizer with Vanilla (pictured above) was part of my beauty swap with Mary of Pure Makeup. This product is free from chemicals, preservatives, alcohol and solvent. The ingredients are simply coconut oil and vanilla, nothing else. When it comes to scents I am definitely attracted to food smells. 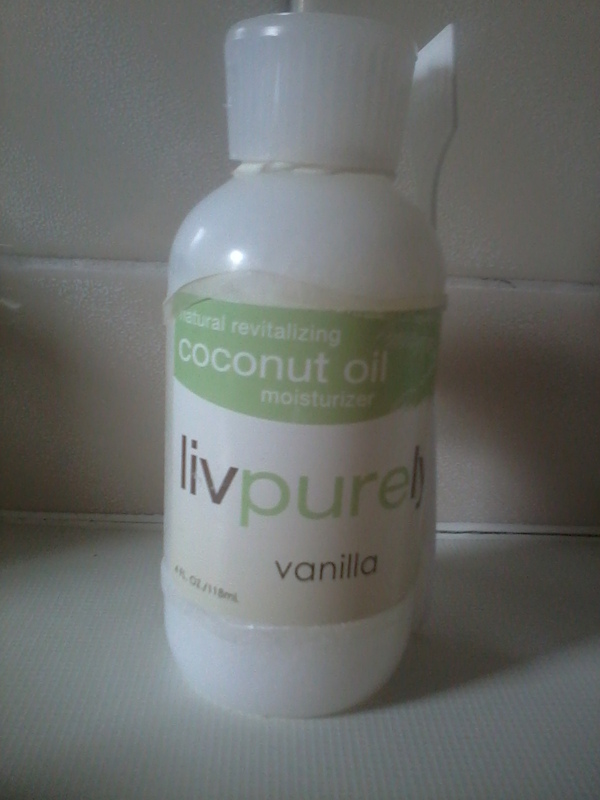 I adore Coconut and Vanilla so it has been instant love with this product. The scent is not overpowering but it does make me hungry. I love the Caribbean cupcake scent (that's how I describe the fragrance). For me it lifts my spirits and I can not stop sniffing my skin. This is coconut oil so it is packaged in a bottle with a pouring spout but it also comes with a spatula. When I first received this I placed the bottle in some warm water to turn it back into an oil. I had assume it had solidified in transit, after all it had just travelled on a plane from USA. Trouble is it does not stay liquid for very long (less than 24 hours). Since I have been unable to keep this product in oil form it currently remains solid and I simply use the spatula to dig it out of the bottle. If you rub the product in between your palms, it melts easily and can then be applied to your body. The bottle does say to store in a cool dry place and warns that it may solidify. 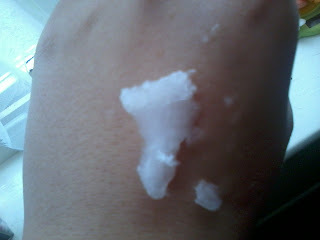 I love this moisturiser. When I first used it I was very surprised how light and non greasy it feels on my skin. It leaves my skin feeling soft and hydrated. Although this is suitable for face and body, I prefer this on my body. If you do not like vanilla you can choose from coconut oil with blood orange, or lemon or lime, alternatively there is a plain coconut. Who else love coconut oil? What do you use it for? great review! would you recommend this for an oily skinned girl? I have dry/eczema skin so I can not say whether this would be suited to an oily skin, perhaps do a google search and see if anyone else with that skin type has reviewed this product. Thanks for you comment.